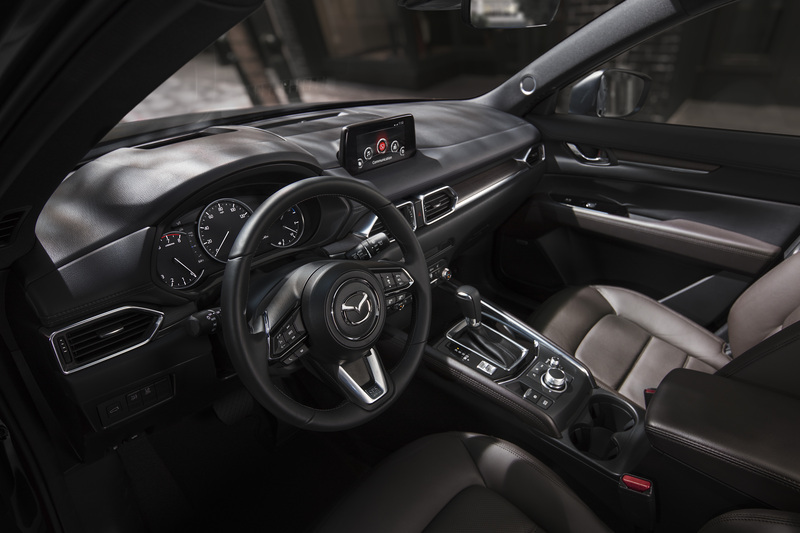 IRVINE, Calif. (April 15, 2019) – The 2019 Mazda CX-5 has been recognized by Good Housekeeping as a top rated vehicle in the compact crossover SUV category for their 2019 Best New Car Awards. After driving the year’s new vehicles over 5,000 miles of city roads, highways and test tracks, they narrowed down the field to the top 50 makes and models. In addition to industry standards and proprietary protocols, the GHI Labs tested the new vehicles on safety, value, handling, design and technology to determine the winners. Constantly evolving, the Mazda CX-5 takes its next key step with a high-quality interior befitting a new top-tier Signature trim level. Additionally, the CX-5 has evolved with a refinement of the powertrain line up with the addition of the turbocharged Skyactiv-2.5T engine (Grand Touring Reserve & Signature Trim) and an enhanced focus on the chassis featuring the latest technologies with G-Vectoring Control Plus (all trims). Other optional features that can be found on certain trims of the 2019 CX-5 that support comfort, convenience and safety include: Apple CarPlayTM and Android AutoTM compatibility; a reconfigurable 7.0-TFT gauge display; heated and ventilated front seats; heated rear seats, heated steering wheel; BOSE® 10-speaker premium sound system; windshield-projected Active Driving Display head-up unit and a 360° View Monitor. The CX-5 is Mazda’s best-selling vehicle in the U.S. and has surpassed 2 million units sold worldwide. Industry accolades for the CX-5 are numerous and include IIHS Advanced Pedestrian Crash Prevention Rating, Car and Driver’s 10 Best Trucks and SUVs for 2019 and IIHS Top Safety Pick+ Honors. The 2019 CX-5 carries a starting MSRP of $24,350. For more information on Good Housekeeping’s 2019 Best New Car Awards, visit Goodhousekeeping.com/carawards.